Kalandra Jane - Millinery and Musings! : A trip to York, and Vivienne Westwood shoes! Once Aerospace Boyfriend had gotten over the shock of being thirty, we decided to go on a date to York, a wonderful city full of history and shopping opportunities! 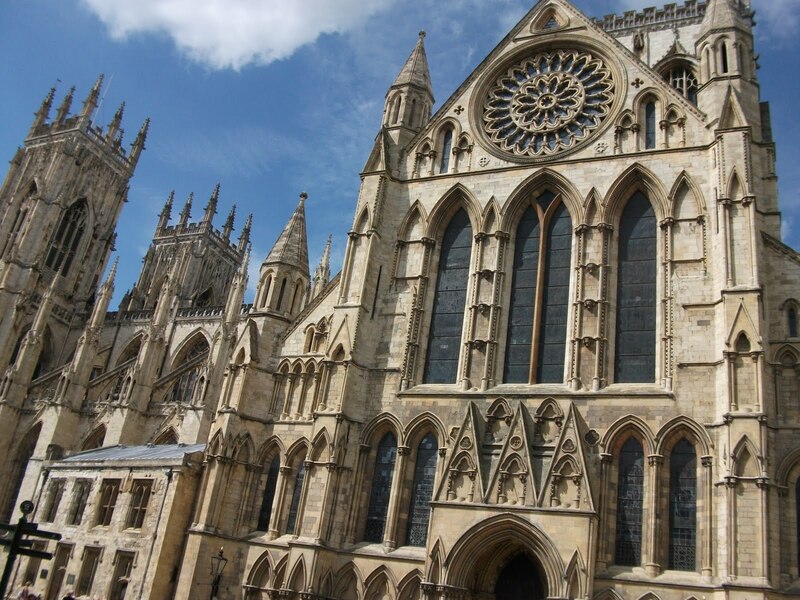 Last time we went, we did the historical stuff - walking the Roman city walls, a tour of the Medieval Minster, viewing the wonky Tudor buildings of The Shambles, and discovering the Viking history of the city, so this time was all about the shopping and food! Here is the Minster, well, the tiny bit of it that I could fit into the frame of the camera! 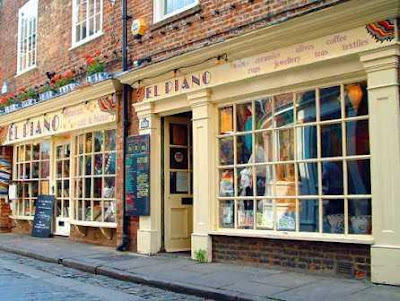 We arrived at lunchtime and headed straight for El Piano, a fantastic Spanish/South American vegan cafe where everything is so tasty! I had spicy kofta with turmeric coconut sauce and lentil and rice tabuleh, he had Mushroom and Basil salad with rice and chutney. It took me ages to decide what to have, everything looked so good and I'm not used to being able to eat more than one thing on a menu! Next time, I may pick up a copy of their cookbook from their little shop. Following a recent eBay fiasco where some shoes I bought were listed as the wrong size and I ended up having to sell them on rather than return them to the unhelpful seller, I was promised a trip to Vivienne Westwood to 'try on' the Lady Dragon shoes to see what size I needed, the plan being to then buy some cheap-ish-ly on eBay. Well, Aerospace Boyfriend decided that he would buy me some there and then, and that instead of a previous season's style, they would be the amazing brand new ones with the cherries on the toe instead of hearts! Squeeeeeee! Here they are! Available online here! 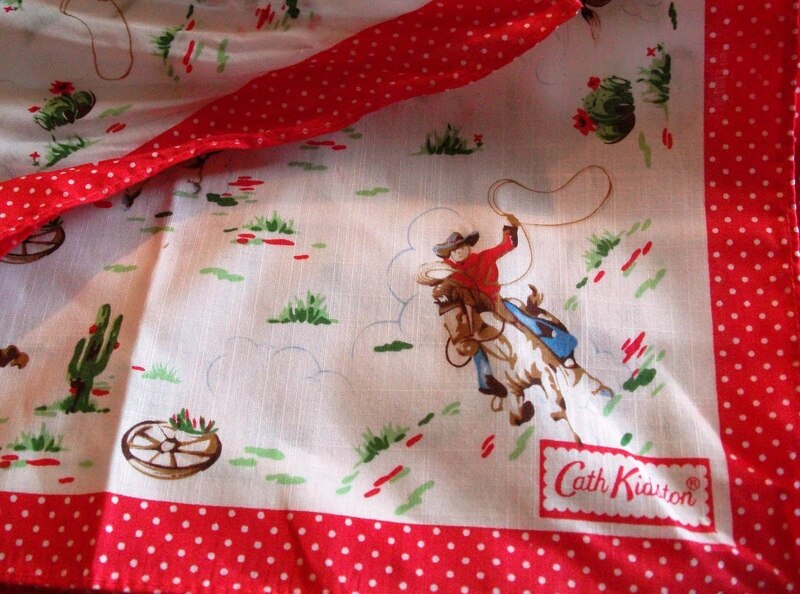 I also got this cute cowboys and wagons print handkerchief with a polka dot border from the Cath Kidston shop. I wore it today as a headscarf. 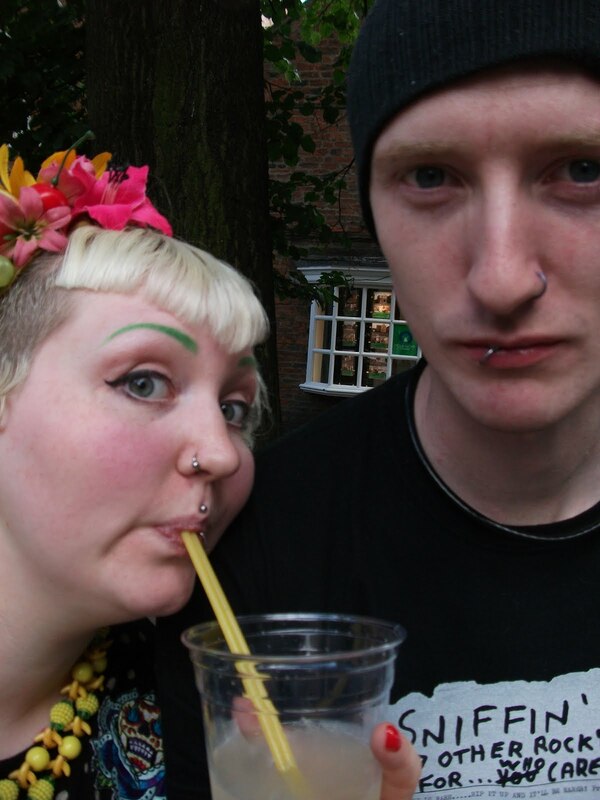 We had ice creams on the lawn outside the Minster, mine was vegan chocolate, then we went on a romantic boat trip along the river Ouse. 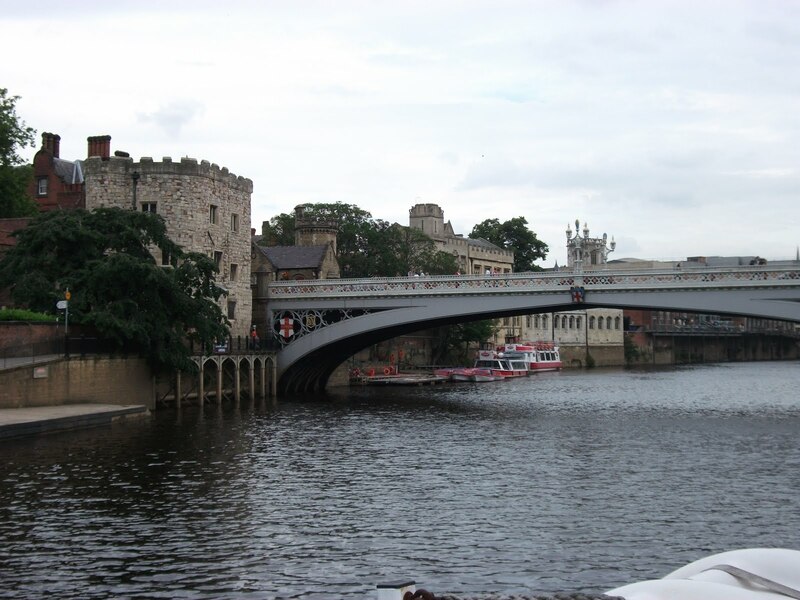 This is a view from the boat, of the York Guildhall and one of the four bridges in the city centre. Finally, we went for dinner at a fancy Italian restaurant where we sat outside. I had a tomato garlic bread and some spaghetti with grilled vegetables, then we walked back to the car along the riverbank, and got there just as it started pouring with rain! Unfortunately we then got stuck in a traffic jam for three hours on the way home, but it was still a lovely day. 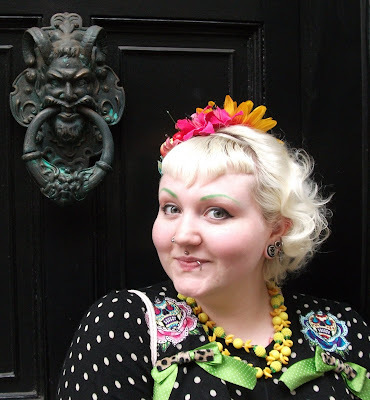 And me with a big door knocker outside one of the city's famous 'haunted houses'. 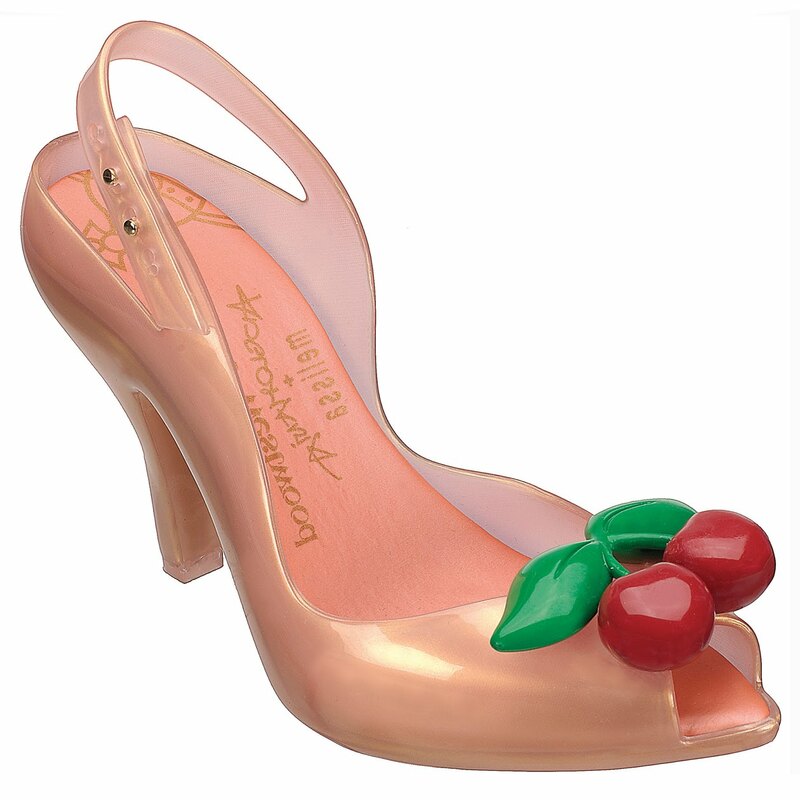 I just adore these shoes!! Are they really comfortable?? I allways thought feet must become really sweaty in them - is that so?? Please, say it isn't that way!! !